Pre-historic art: dedicated to finds such as bones and pottery from the regions of Syria and the Euphrates Valley. 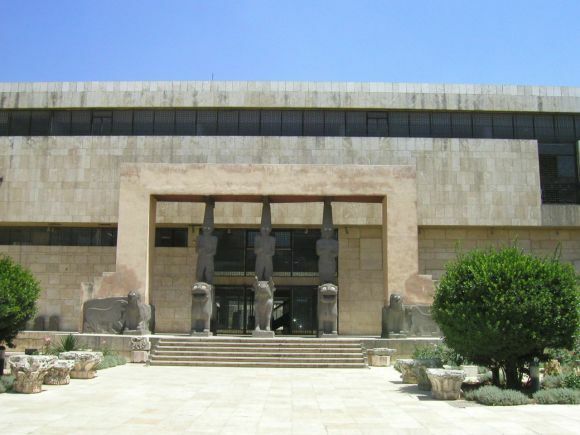 Some items are about a million years old and the most recent piece dates to no later than 3,200 BC, after which writing was developed and art became historic. Ancient Near Eastern art from Syria: one of the most important sections containing pieces from Tell Halaf, Mari, Ugarit, Ebla and other significant sites of early Near Eastern civilisations, all displayed in chronological order in three large wings. 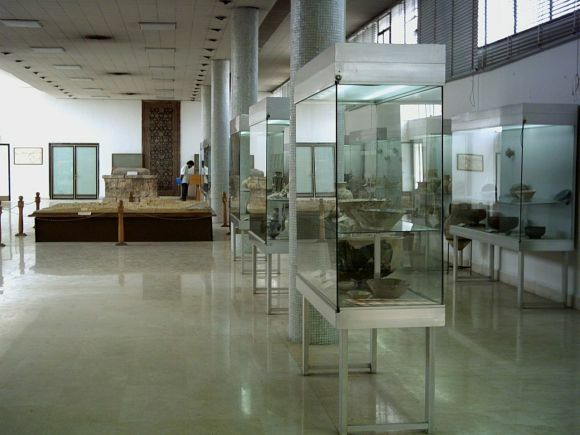 Classical art from the Greek, Roman and Byzantine periods: pottery, coins, a number of limestone funerary carvings from the ancient city of Mambij, and a collection of Roman and Byzantine glass flasks used for perfume, eye-kohl and drugs are some of this section's main features, all displayed chronologically. 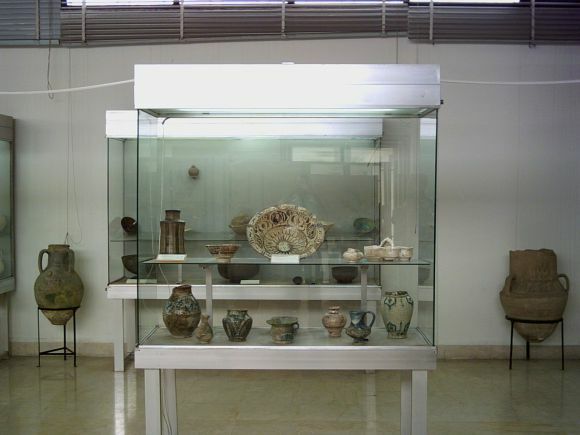 Arab Islamic art: The method of display here is based on the item's function and medium, such as pottery, ceramics, metalwork and glass of the various Islamic dynasties as well as a collection of gold and silver coins of the Umayyad, Abbasid, Ayyubid and Mamluk periods. A stone cenotaph carved in floriated kufic calligraphy is a masterpiece of this hall. Medieval military equipment and an Ottoman wooden ceiling featured in a side chamber are also presented. Modern art: paintings by Syrian artists, particularly Aleppines, expressed in various styles such as realism, cubism, expressionism.